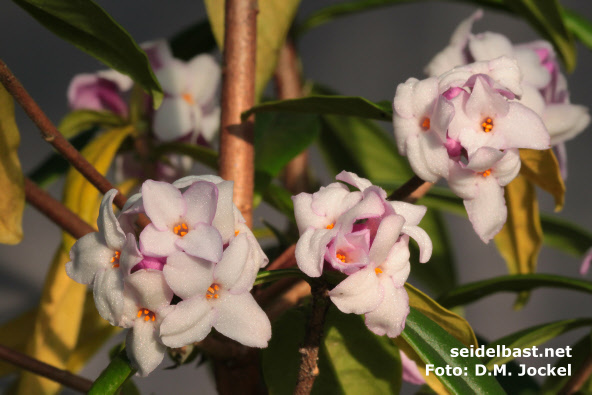 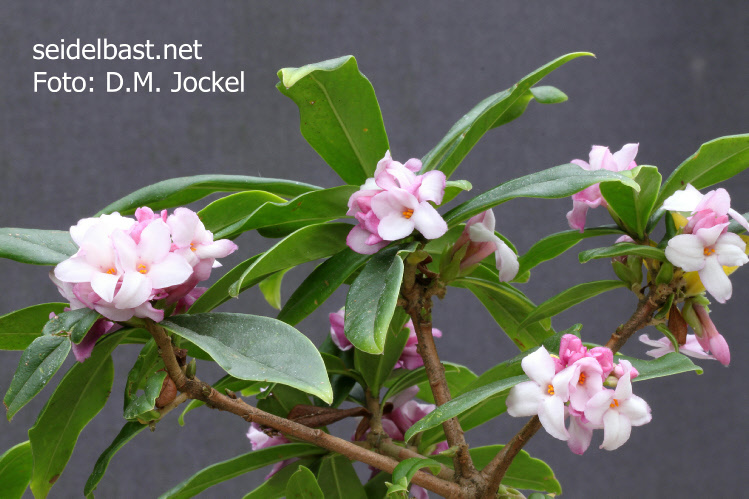 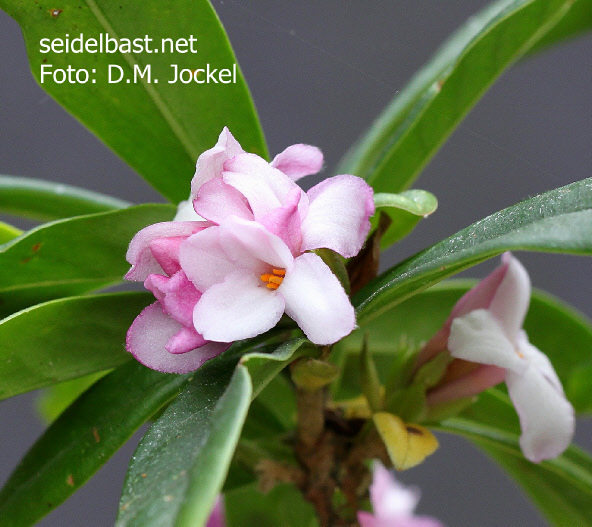 Right now, four different plants of this Daphne bholua x jezoensis hybrid are in cultivation. 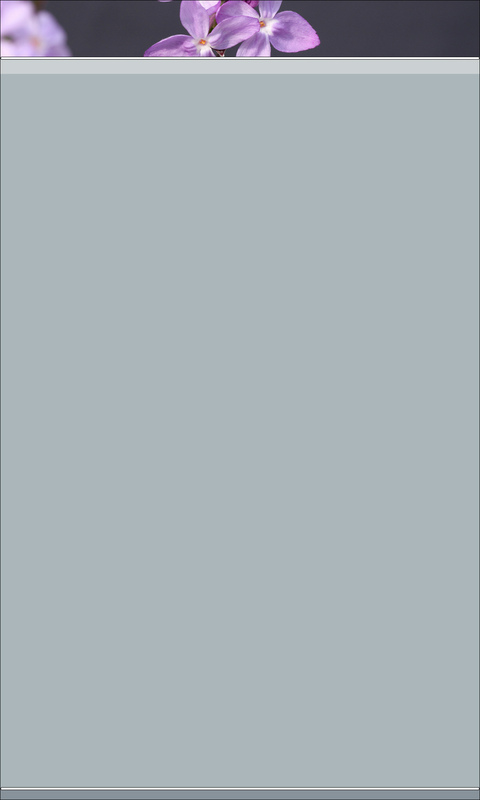 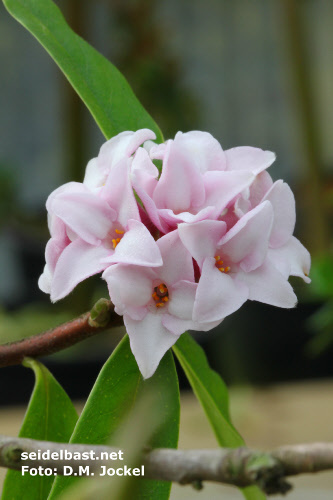 The plant on the following pictures shall have the selection name Daphne x ‘Pompom-Pink’. 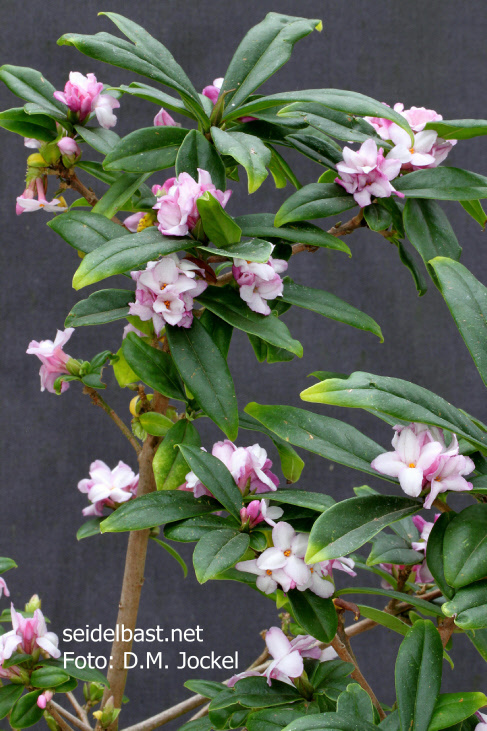 Other hybrids with Daphne jezoensis are Daphne x ‘Winter Glow’ and Daphne jezoensis x mezereum.